Laid down, 15 December 1943, at Navy Yard, Mare Island, CA. 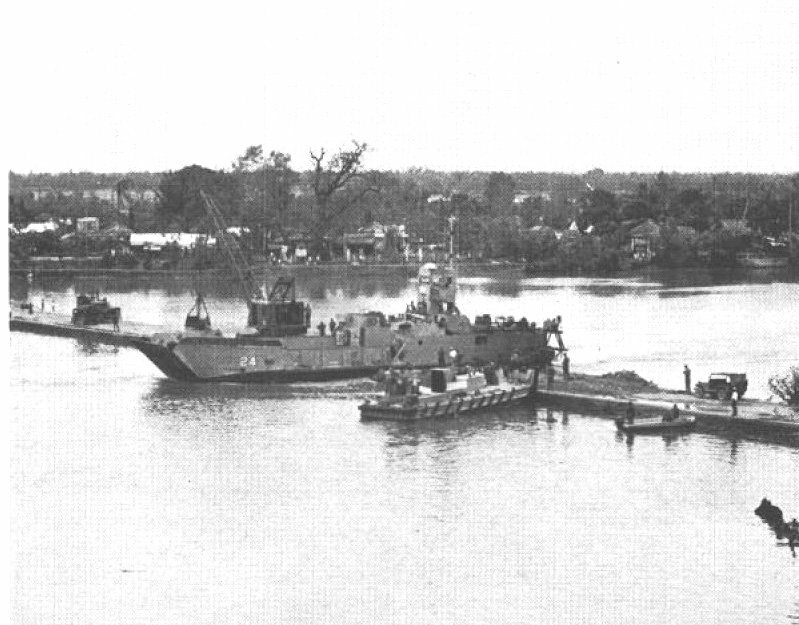 48k YFU-24 - VIETNAM RESCUE - 24 Feb 1969 - Harbor Utility Craft was rescued from a rice paddy by Seabees and LCM's after being swept over a causeway by a typhoon. A hole was blasted in the causeway to free the utility craft. .